For the younger family friendly tykes and those who are children at heart, "Happy Feet II" debuts Friday, too. Then, on Wednesday, Nov. 23 (one day before Thanksgiving), more animated favorites, Arthur Christmas, the re-spin of "The Muppets," and "Hugo." HOLD OVERS: Due to the Wednesday release dates, most of the remaining hold overs except the Twilight/Happy Feet 2 duo will be slipping into wait for the DVD mode. So, big screen maniacs, catch them on a big screen now. No more procrastinating. COURAGEOUS MINI REVIEW REMINDER: If you liked/loved "Fireproof," then catch "Courageous" before its theatrical run comes to an end. The film's message about fatherless families comes in a Christian perspective. It's a little on the Baptist preachy side (in places), but the evangelical message goes with the territory of ethical and moral choices among four members of the police department. Although it takes courage to bust the bad guys, sometimes, more tenacity comes from working out problems in your family or making ethical decisions at work, even when a stand means turning in evidence against a fellow officer. The acting is above average (no award winners), and, the decisions made have consequences beyond the immediate. Cool car chase and shoot out. TOWER HEIST: Hand out a toast to The Donald for the year's most visible yet subtle product placement. The structure used for the film is Trump Tower, but that's in small print as the credit's roll. The premise combines comedy and drama as a group of service workers suffer the fate of a Bernie Madoff styled character --- their pensions have been flittered away. Instead of accepting BROKE, they form a "gang" and stage their own robbery retribution. Eddie Murphy brings his acting career back from rigor mortis playing a small time crook now playing with the big dudes. Filled with twists, turns and tweaks (I won't give away the red car secret), the amateurs combine their knowledge of "routines" at the building for an attempt to bring justice to those whose savings has been swiped. 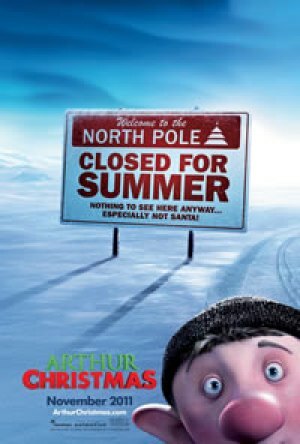 Arthur Christmas: You finally learn how Santa delivers all that sleigh full of presents in one night. 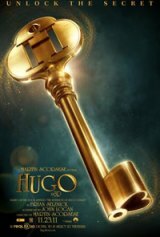 HUGO: Hugo tells the story of an orphan boy living a secret life in the walls of a Paris train station. With the help of an eccentric girl, he searches for the answer to a mystery linking the father he recently lost, the ill-tempered toy shop owner living below him and a heart shaped lock, seemingly without a key. Based on Brian Selznick's award winning and imaginative New York Times bestseller, The Invention of Hugo Cabret, this magical tale is Academy Award(R)-winner Martin Scorsese's first film shot in 3D.